There are songs that work best on radio, where the medium of music videos ultimately doesn’t do justice to what the listener had in their head when bobbing to the beat. Toro y Moi is an artist for whom the emphasis leans greater to ‘geek’ rather than ‘chic’, meaning his stupendous production skills are let down by his insistence to pare down the visuals while accentuating the sonics. It’s an odd combination that seems enervating, only because the music video playing in my mind had more to it than this. Nonetheless, it’s humbling to know a guy that looks like Toro y Moi can get a record deal in today’s age and have his music playing in places that matter. This chillwave/ glo-fi sound is said to the stuff dreams are made of, though, dreams usually have better production values than this clip. 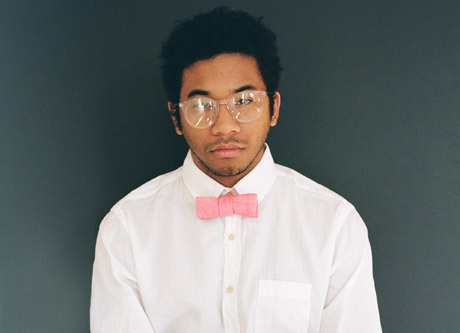 I think Toro y Moi must have an excellent sense of humor: the beginning somewhat remincant of old kung fu films. This looks an awful lot like Northern California...which I am a big fan of (for obvious reasons). Sonoma County even. As a fashion blogger, I totally relate: being fabulously dressed, and posing in the most random of places and yet not seeing how anything could be out of the ordinary whatsoever. That song that you left a link to in my comments was awesome! I loved it. I here by dub you music appointed of all outfit videos. 'Tis a coveted position, I'll have you know.